Titanium Range? 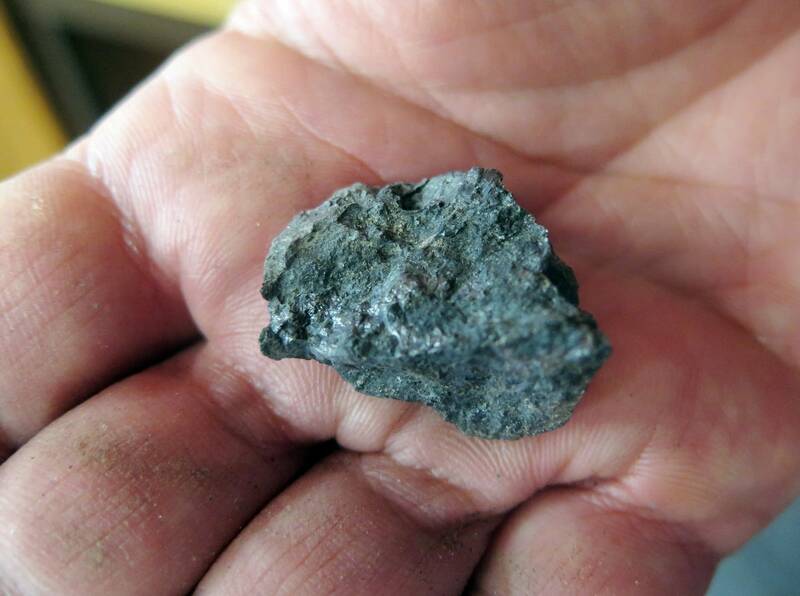 Breakthrough could lead to new kind of mining in NE Minn.
For well over a century, miners have clawed huge amounts of iron ore out of the red earth of northeastern Minnesota. Other companies are hoping to tap into the region's rich deposits of copper, nickel and precious metals. Now, scientists believed they've unlocked the key that could lead to another kind of mining in the region. Researchers with the Natural Resources Research Institute, an arm of the University of Minnesota Duluth, announced Thursday they've demonstrated on a pilot-scale a new technique to separate high-purity titanium oxide from a mineral called ilmenite. It's long been known that northeast Minnesota contains rich ilmenite deposits. They run in a string from the northeast end of the Iron Range, near Hoyt Lakes, south toward Duluth. The largest of those deposits is dubbed the Longnose deposit, located just southeast of the proposed PolyMet copper-nickel mine. It's believed to be the largest and richest ilmenite deposit in North America. But the resource has never been mined because conventional processing techniques were unable to remove magnesium impurities that are also present in the ore. Researchers at UMD, in partnership with a Canadian company called Process Research Outreach, now say they've overcome that hurdle. "Bottom line, high-purity titanium dioxide has not been possible from Minnesota ilmenite. Today it is," said Rolf Weberg, Executive Director of NRRI. "This work opens new horizons for Minnesota." Titanium dioxide is valued around $3,200 per ton, compared to a value of around $70 for the taconite pellets produced on the Iron Range. 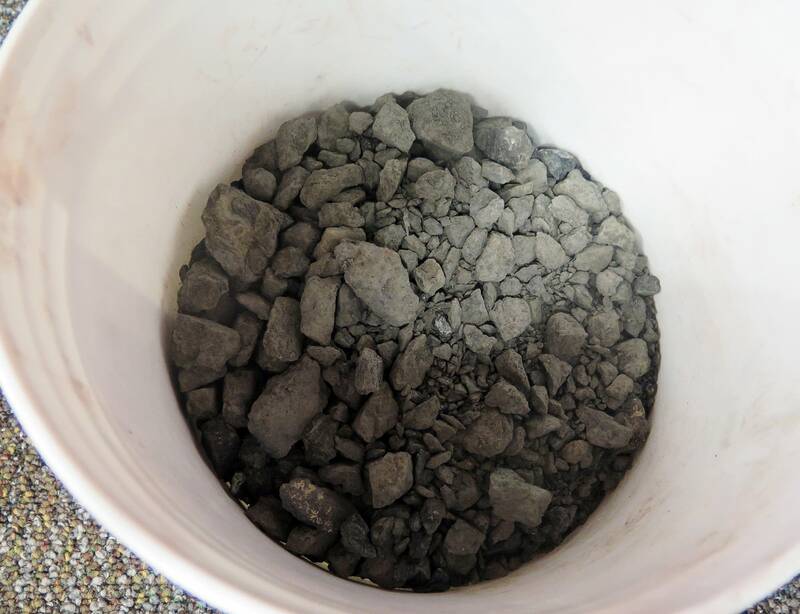 It's used in a range of everyday products, "ranging from paint to lotions to lip balm to the white on your powdered donuts," said George Hudak, NRRI's minerals, mining and metallurgy director. Compared to Minnesota's iron deposits, thee ilmenite deposits are tiny — the footprint of the Longnose deposit is only 160 acres, although it goes down about 1,400 feet. But they are large for ilmenite deposits, said Bill Ulland, a Duluth geologist and President of American Shield Titanium Group, which owns the mineral rights to the Longnose deposit. "I think this is an important day for northern Minnesota," he said. "We're on the cusp of a new mining industry here." Ulland said the deposit is within 10 feet of the surface, so it wouldn't require stripping off nearly as much earth as it takes to access iron ore. And, he said, it's located in ore with low sulfur content, which means it would not create the same potential for acid mine drainage as found in nearby copper-nickel deposits. "Permitting is rigorous in Minnesota," said Ulland. "But I think it's eminently permittable." Still, an environmental review of potential mining has not been conducted yet. That wouldn't be undertaken until a company invests in the project and conducts further testing, feasibility studies and economic analysis. The research was funded by the Iron Range Resources and Rehabilitation Board and the University of Minnesota Duluth, each of which contributed $300,000 to the project.